Faux News about Fox News? 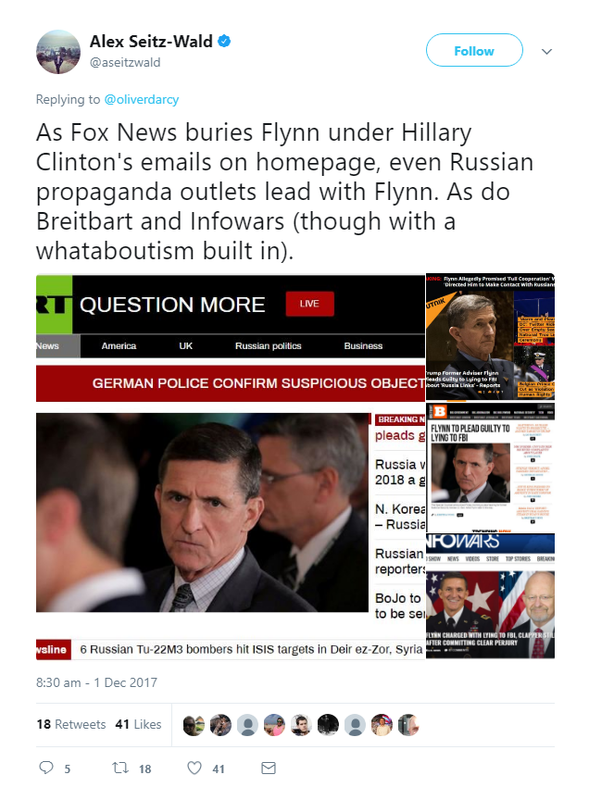 — Did Fox bury news that former Trump adviser Michael Flynn pleaded guilty to making false statements to the FBI? 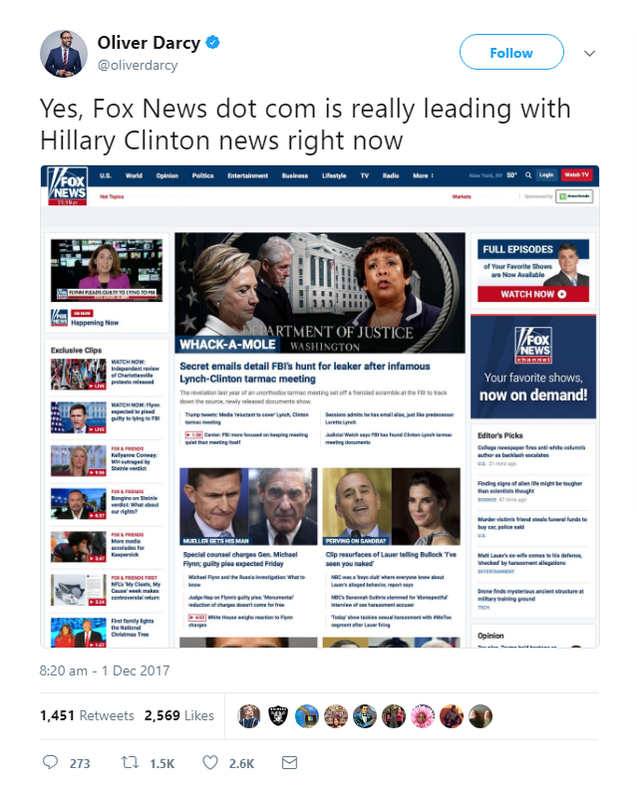 In October, I helped debunk the claim that Fox News failed to report the recent indictment of former Trump campaign aide Paul Manafort in favour of a story about cheeseburger emojis. 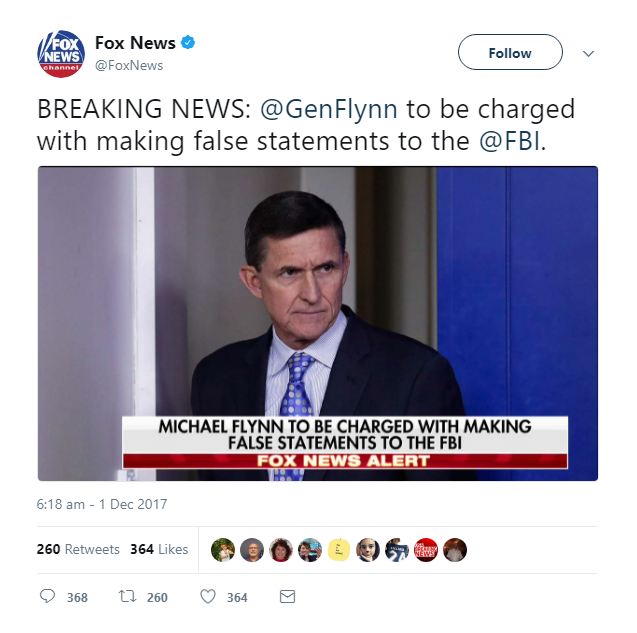 Now comes the claim that Fox buried news about another Trump aide, former National Security Adviser Michael Flynn, who today pleaded guilty to making false statements to the FBI. 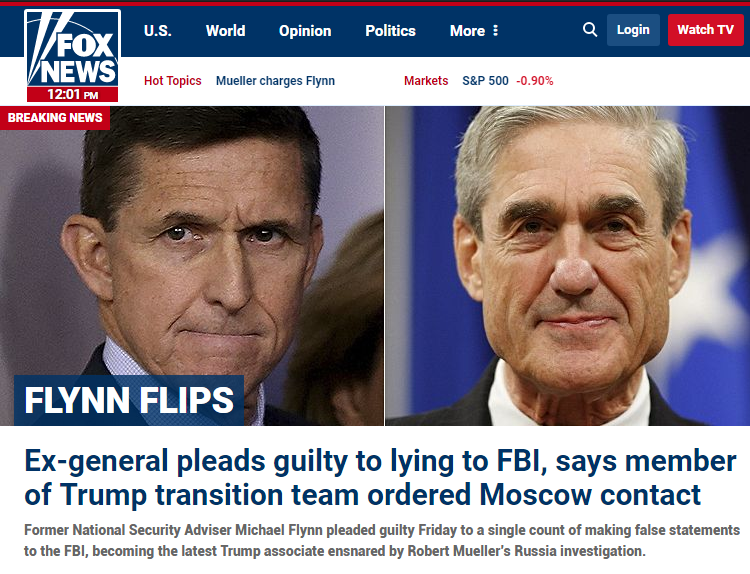 But did the famously Trump-friendly news network really bury news of Flynn’s guilty plea? 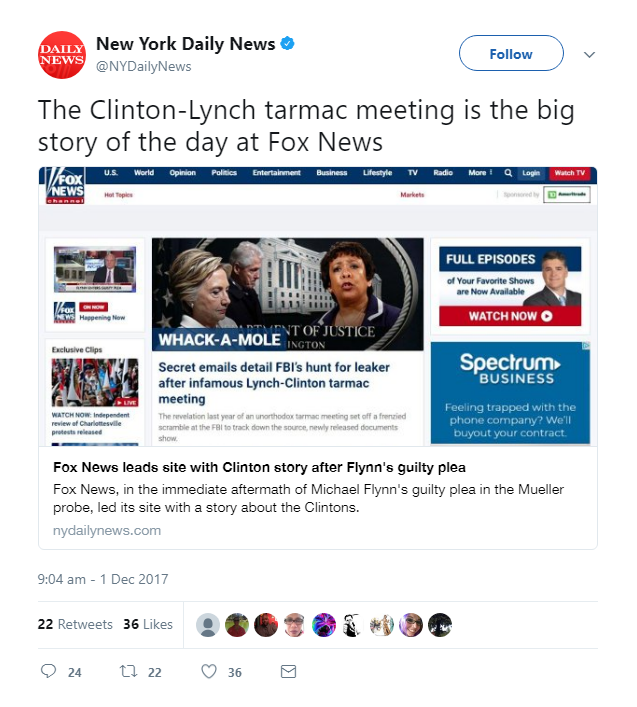 Further investigation shows that Fox started tweeting the story at least an hour and a half prior to Darcy’s initial tweet. 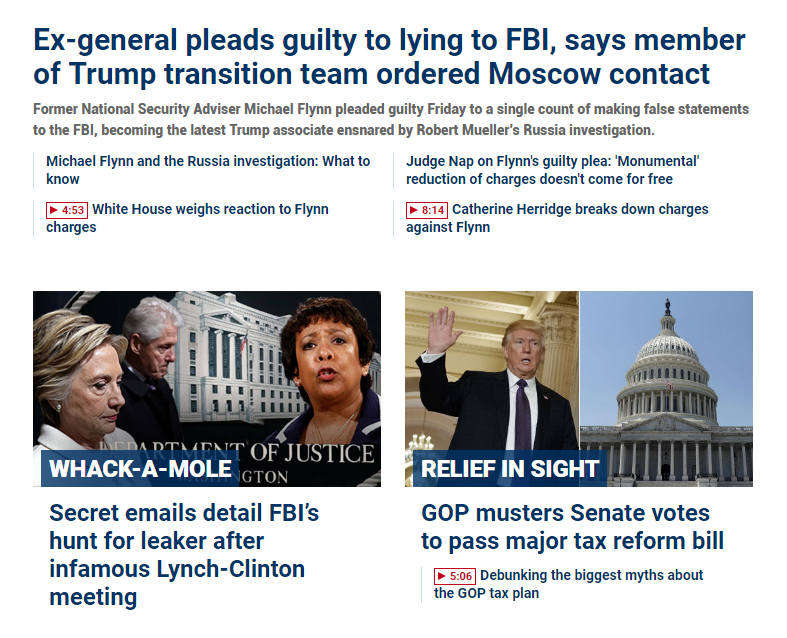 Meanwhile, the Clinton-Lynch story has taken a back seat.